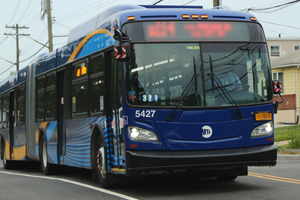 STATEN ISLAND, NY – According to Silive.com, MTA buses experienced morning rush hour delays because of a crash that took place on the Staten Island Expressway. The collision occurred in the Brooklyn-bound lanes and impacted the “SIM3, SIM31, SIM32, SIM33 and SIM34,” routes. Another collision took place on Narrows Road South and led to delays for the S53. The crash on the expressway happened near Slosson Avenue and caused delays on the Verrazzano-Narrows Bridge. Rush hour crashes are common because of traffic congestion that is common when commuters are making their way to and from work. If there are more vehicles on the road, there is a higher risk of crashes. Stressful rush hour driving can also lead to a greater risk of accidents. Many drivers are trying to get to work on time and become agitated. This can lead to aggressive driving and road rage. Aggressive driving includes behaviors such as following another driver too closely or speeding. Other drivers may lose their focus on the road because they become bored after sitting in traffic and not moving for so long. Wither of these situations can create the risk of a collision. Once a crash takes place, there is a higher chance of secondary crashes. In these situations, a vehicle may hit cars that stopped because of an accident, or a driver may strike another vehicle because they were looking at the aftermath of an earlier crash instead of paying attention to the road. While heavy traffic can be stressful and boring, it is important to find ways to stay focused on the road. An accident will only cost more time and money and potentially cause severe injuries. Have you or a member of your family been injured in a bus accident?